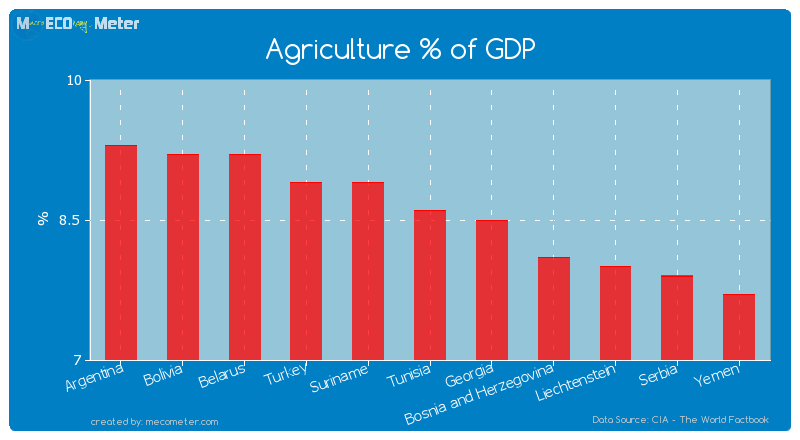 Value & RankThe Agriculture % of GDP of Tunisia is 8.60 (%) with a global rank of 96. 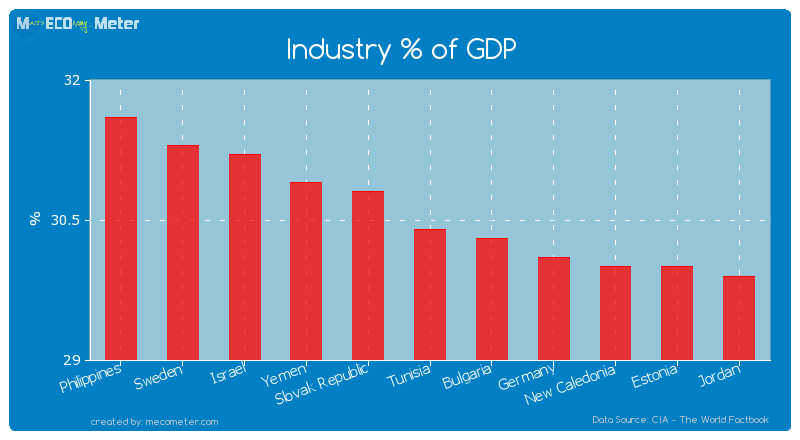 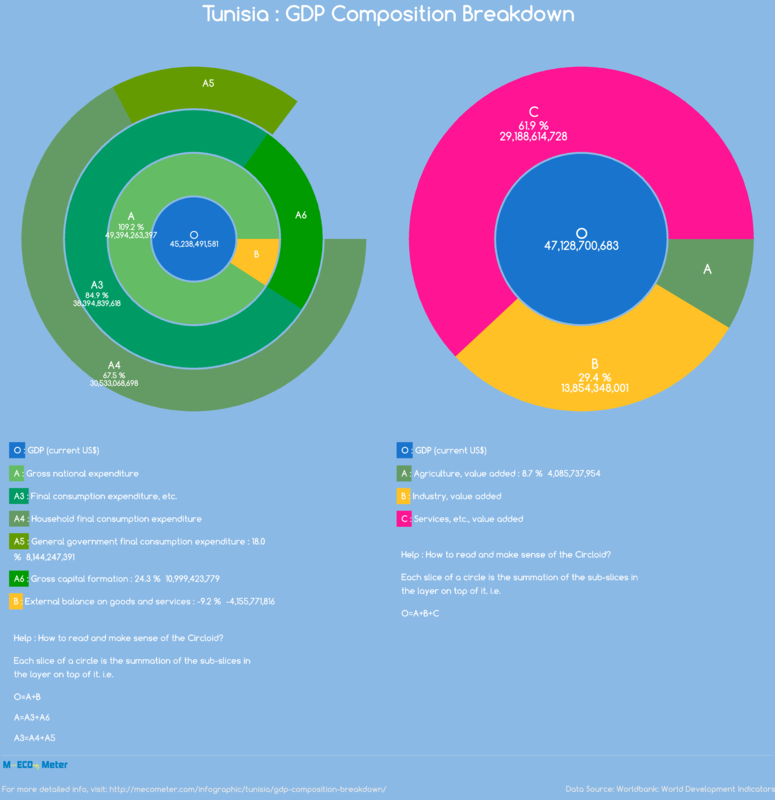 Value & RankThe Industry % of GDP of Tunisia is 30.4 (%) with a global rank of 72. 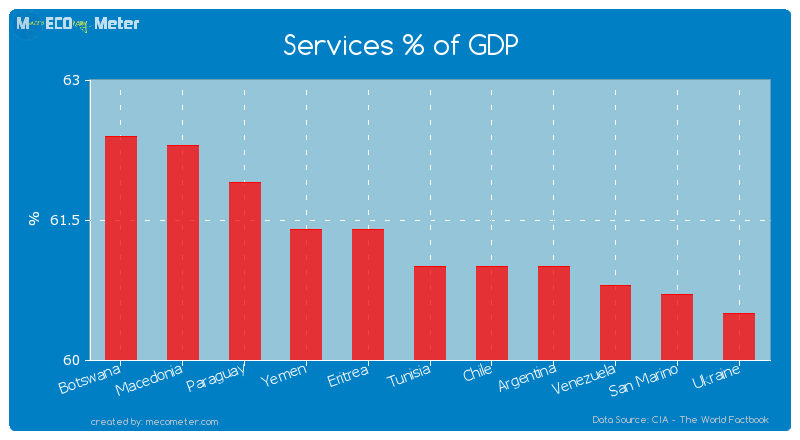 Value & RankThe Services % of GDP of Tunisia is 61.0 (%) with a global rank of 100.